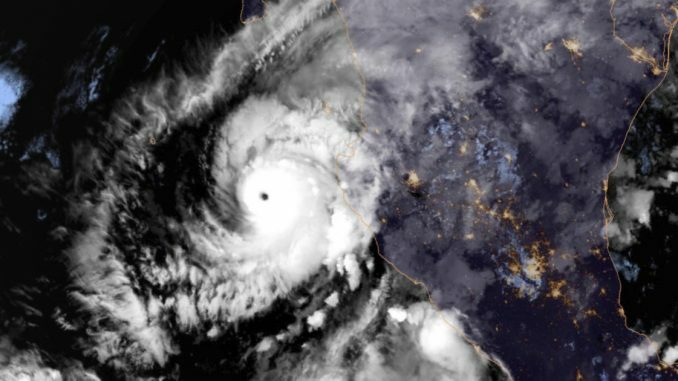 Hurricane Willa made its landfall in Mexico as a Category 3 storm on October 20. According to the National Hurricane Center, it touched down at 7 p.m. near Isla Del Bosque, Sinaloa. Willa brought rough winds and flooding rain along with it, affecting many in Mexico. Prior to landfall, Willa was looking even more dangerous than it ended up being. The hurricane rapidly intensified just a few days before it would hit. By 5 p.m. on October 21, winds had increased by 55 mph in just 24 hours. By 8 p.m. they increased by another 25 mph. On Monday morning, Willa was declared a Category 5 hurricane, making it just the fourth eastern Pacific hurricane to reach this level of strength in the month of October since 1971. The other four include Hurricane Patricia in 2015, Rick in 2009, and Kenna in 2002. In preparation for the storm Mexican President, Enrique Peña Nieto, tweeted that he had asked the National System of Civil Protection to take all necessary steps to protect citizens in the path of the upcoming storms. 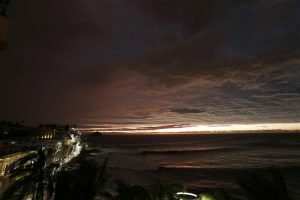 The powerful Hurricane Willa was being followed by Tropical Storm Vicente, and both were expected to affect Mexico. Luckily Willa’s explosive strength weakened before it landed. Its winds reached 120 mph, and its rain brought flooding into surrounding areas. Mexico’s federal government declared it an “extraordinary emergency” in both areas. The combination of heavy winds and rain affected about 33,000 residents in Sinaloa and Nayarit. “Near the coast, the surge will be accompanied by large and destructive waves,” said the US Hurricane Center, “rainfall will cause life-threatening flash flooding and landslides.” In both Sinaloa and Nayarit, there had been reports of flooded homes and overflowing rivers. The Baluarte River flooded nearby homes in both areas, affecting nearly 20,000; the water not only seeped into homes, but also damaged crops and drowned livestock. In response to the storm, Sinaloa Governor, Quirino Ordaz, visited affected areas. Ordaz tallied 4,000 people that had gone to shelters after their homes were damaged. 58 shelters were set up to take in evacuees. Their military has deployed 15,000 of its members to the border area of Sinaloa and Nayarit, where they will help the residents affected by the storm. The Navy has sent in assistance as well, stating that they sent over “3,800 marines, 163 vehicles, eight planes, six boats and three mobile kitchens” to aid in relief efforts. Following Willa’s evening landing, by about 2 a.m. it had downgraded to a tropical storm. Although weakened, Willa refused to quit. The storm poured rain over northern Mexico and Texas, then moved onto other southern states, and then turned up north. What was left of the storm had meteorologists torn on whether it would move up the east coast of the US or simply go out into the Atlantic Ocean. If Willa continued far enough north, the hurricane turned tropical storm had the potential to become a nor’easter.